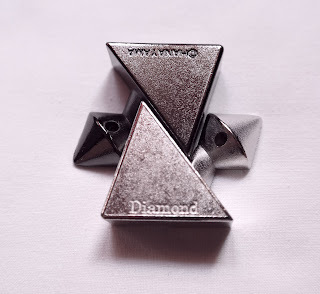 The most simple answer is sometimes staring you in the face - This is a statement that truly describes my feelings for the Cast Diamond, a beautiful and elegant puzzle designed by American Scott Elliott. 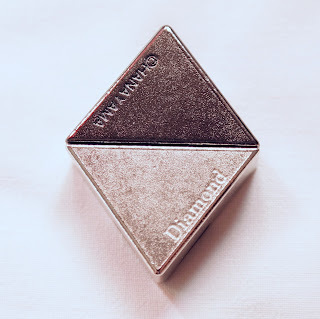 The Cast Diamond consist of two identical parts, albeit in contrasting colors and, when solved, the two pieces interlock perfectly to show a diamond shape. It is one of the smallest in the Cast Puzzle family, at just 5.1cm x 3.9cm in diameter (2" x 1.5"). This one was a pleasant surprise in many ways, starting by the way it was packaged. As you know, most Cast Puzzles are presented in their finished or solved state, and your task is to figure out how to take it apart. There is no solution provided with the puzzle, so you're on your own. After you finally take it apart, only half of the puzzle is now solved, as you need to find a way to put it back together. The Cast Diamond, however, turns the whole concept around and starts by asking you how to put the two pieces together, since the puzzle is presented in its unsolved state. There's a reason for this, as you'll soon discover. 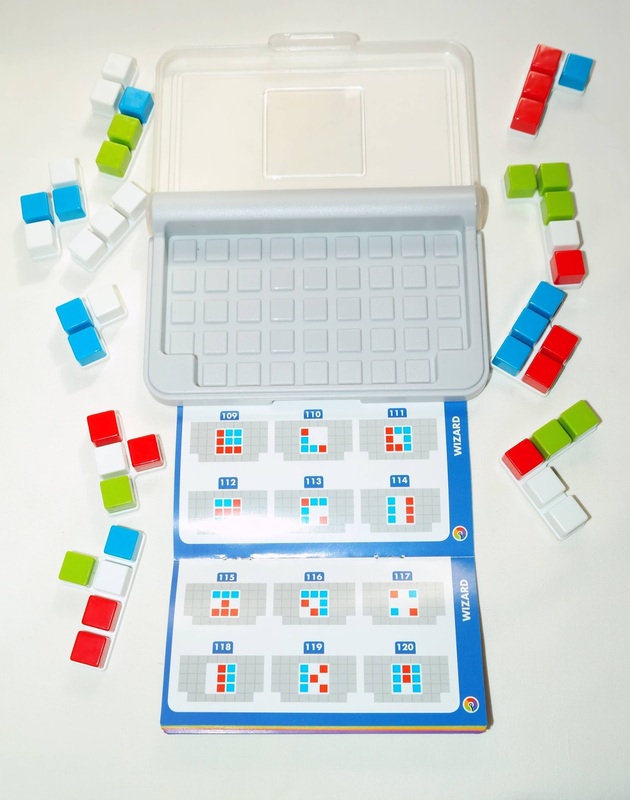 Because the puzzle has a very simple solution, with basically one motion, having shown it in its solved state would be too easy to figure out the whole solving process. Instead, they cleverly packaged it so that you'll have to really discover how it works. And the solution couldn't be more deceiving. I believe this puzzle will have many dividing opinions in terms of its actual difficulty. Hanayama classified it as one of the easiest on the entire Cast family (1/6), and I strongly disagree...as with many others in their collection, which I think are wrongly classified. Now, this may vary from person to person, and how good you are at solving puzzles, or how good you think you are... But the fact is, this puzzle is not that easy to solve, no matter how seasoned of a puzzler you are, simply because it requires an out-of-the-box thinking. It doesn't mean that it can't be solved quickly, it depends on how you look at it and think in terms of symmetry. I felt quite stupid once I figured it out, because it really is a simple solution, a genius one I might add, and I wasn't able to see it for a good half an hour. You'll see immediately why they chose to package it in its unsolved state, because it's very easy to take it apart. Reminiscent of the Cast Marble in terms of the solving process, the Cast Diamond has one of the most elegant solutions in the entire Cast Puzzle series. I really loved it. You can pass it around on family and friends to see how quickly they come up with the solution. Simply beautiful! Availability: The Cast Diamond is available at PuzzleMaster for just $15.99 CAD. If you don't have any Cast Puzzle in your collection, you can get the entire series for just $799.99 CAD. Solution: You can download the solution from here. 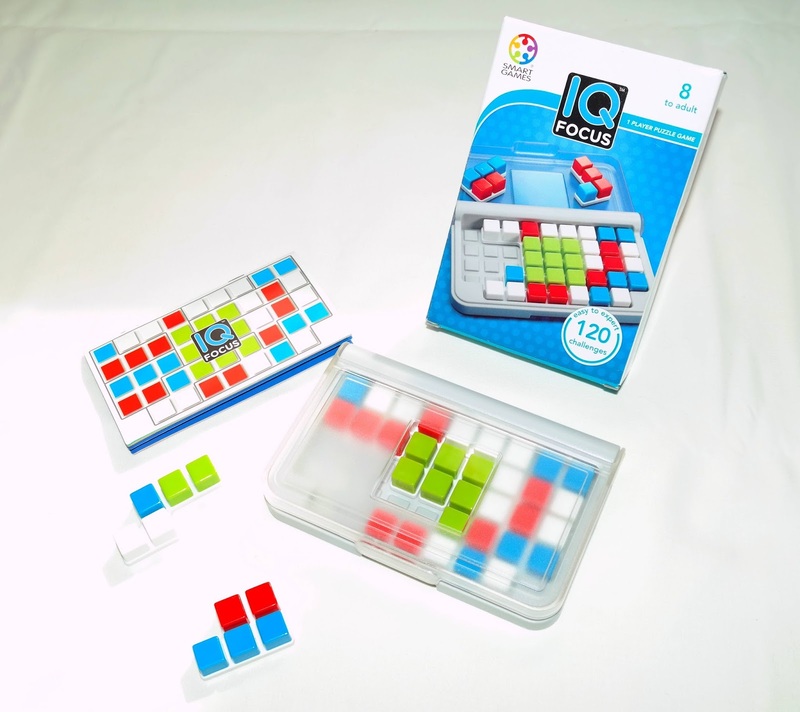 The IQ series by SmartGames is one of their best brands and probably the most diversified in the logic games scene. If you like puzzles, chances are that at least one of the 10+ IQ games available right now is for you. The newest member in the family is the IQ Focus, designed by Raf Peeters. 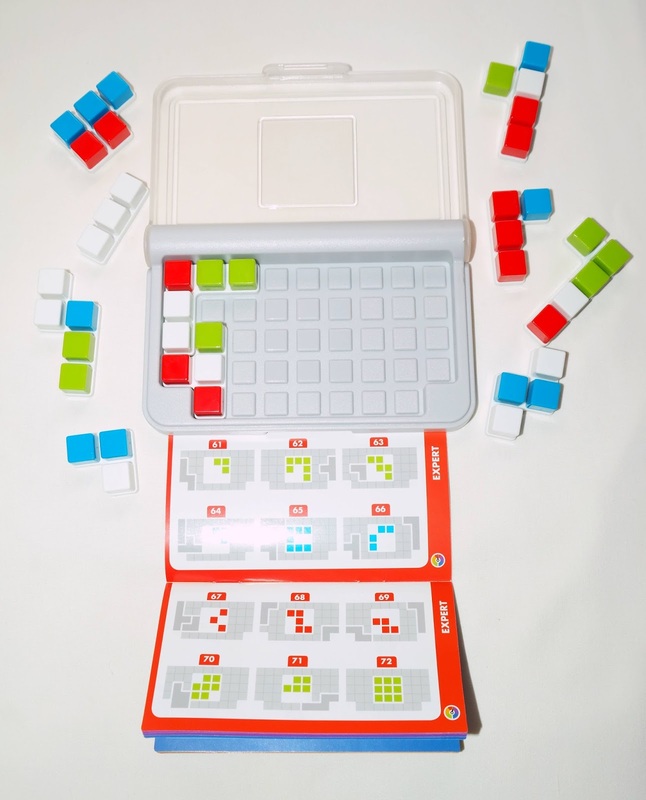 A packing puzzle game for 1 player, which is surely the hardest one yet in the series. This one is only for the bravest puzzlers out there. This is one of those games where it's very easy to understand, but a pain to solve - in a good way, if you like a challenge. The first challenges even show you the first few pieces of the solution, so you just have to place a couple of the remaining pieces. 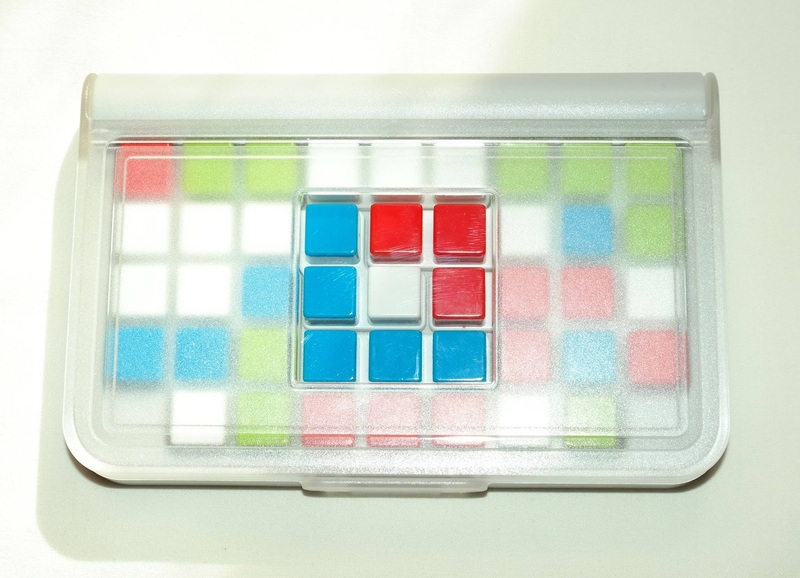 The real challenge, however, starts when you won't have nothing but the central color configuration to guide you. 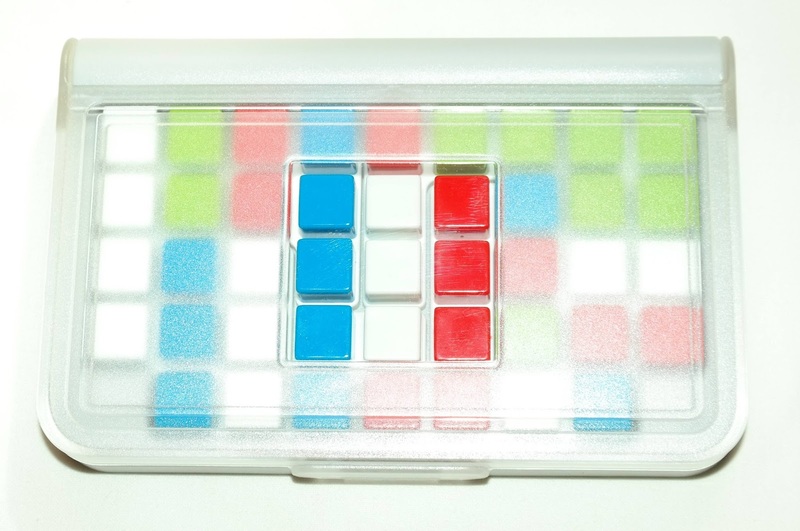 As you can imagine, only the central squares matter for the solution, so any colors outside of it won't be important. 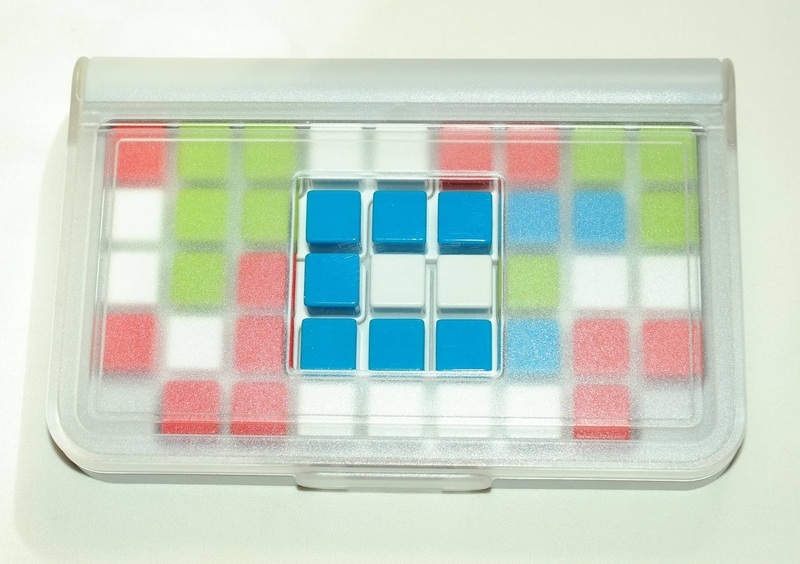 You can place a piece anywhere on the board as long as the squares in the middle match the challenge. All pieces must be used in order to have the correct and only solution. 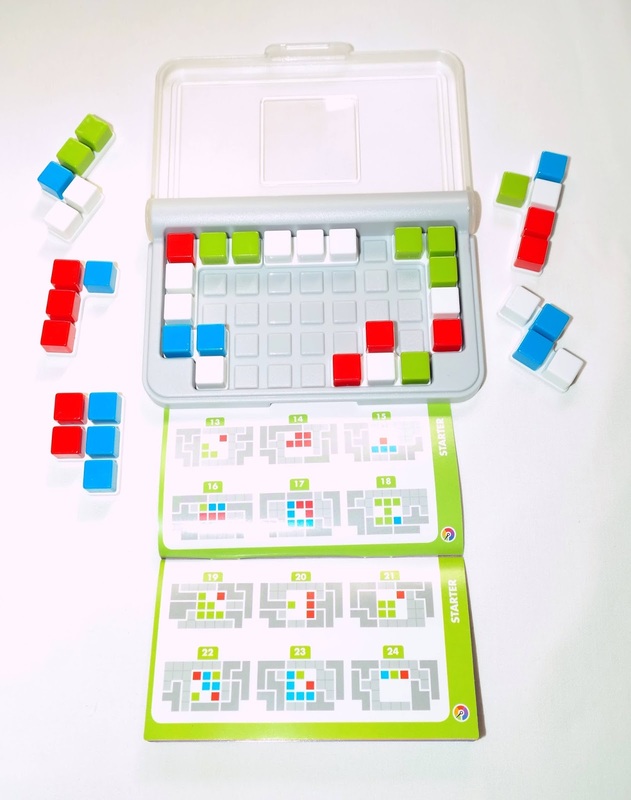 The game box is cleverly designed with a lid that shows a transparent window the size of the central area while it blurs the rest of the game board. In order to guide you as you try to solve a particular challenge, you can close the lid and compare what is shown through the window with what you see in the challenge. There are 120 challenges divided in five levels of difficulty. If you want a challenge, go straight to the Wizard level. IQ Focus is a puzzler's dream when it comes to finding a challenge that really tests your solving skills. I wouldn't recommend it to a beginner, because frustration would kick in rather soon and you wouldn't enjoy it. You could do fine with the first challenges, but those practically solve themselves, since you can see most of the solution anyway. It's one of the best in the IQ series, in my opinion. Availability: There are lots of places where you can find the IQ Focus or any other by SmartGames. Amazon usually carries most of their catalog. I've always been a passionate of music, besides puzzles, of course. And when there's a puzzle that combines these two passions, I got to have it. As you can see from past reviews, music has been present for a while in my blog: Cast Harmony, πano and The Orchestra Pit. So, you can see how excited I was when I saw Siebenstein-Spiele's latest design, Für Elise. 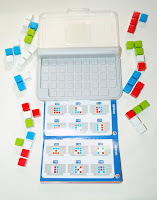 The puzzle was designed by Jürgen Reiche. 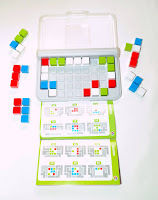 A clear homage to Beethoven and his classic composition Für Elise, the puzzle will certainly inspire anyone who attempts to solve it... Or should I say, "play it". 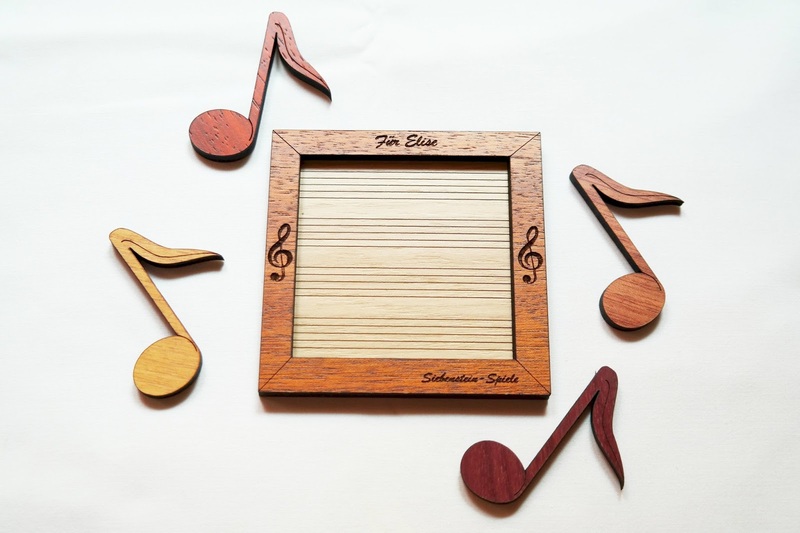 Made to look like a music sheet, the small frame only measures 9.7cm (3.8"). 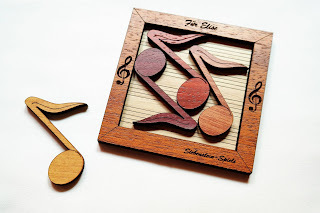 There are four identical pieces in the shape of musical notes, each with a different color, and the goal is to have them all fit inside the frame so that they won't overlap. It looks simple with just four pieces, but it's not as straightforward as you might think. 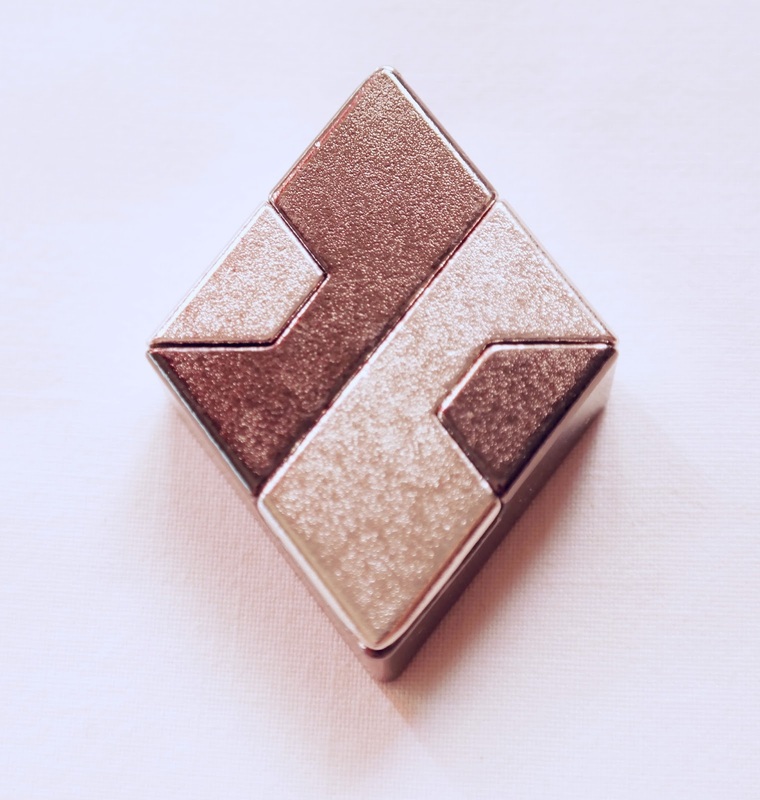 The puzzle has a subtle feature that a distracted puzzler might overlook. Each piece has a couple of markings in one of the sides, while the opposite side is flat and smooth. What this tells you is that you can only use the side that's marked to solve the puzzle, which will limit by half the possible orientations. This is not an overly difficult puzzle, but it had me thinking for a while. Rated by the manufacturer as a level 5/7 and PuzzleMaster as a level 7/10, this is very much so an average difficulty. Since you're working with a squared frame and four identical pieces, the logic says you're looking for a symmetrical solution, where the pieces will be displayed in a somewhat organized fashion and not haphazardly. Siebenstein-Spiele usually doesn't provide a solution with their puzzles, so you're pretty much on your own. If you really are desperate to find a solution, you can see one (and probably the only one) below. 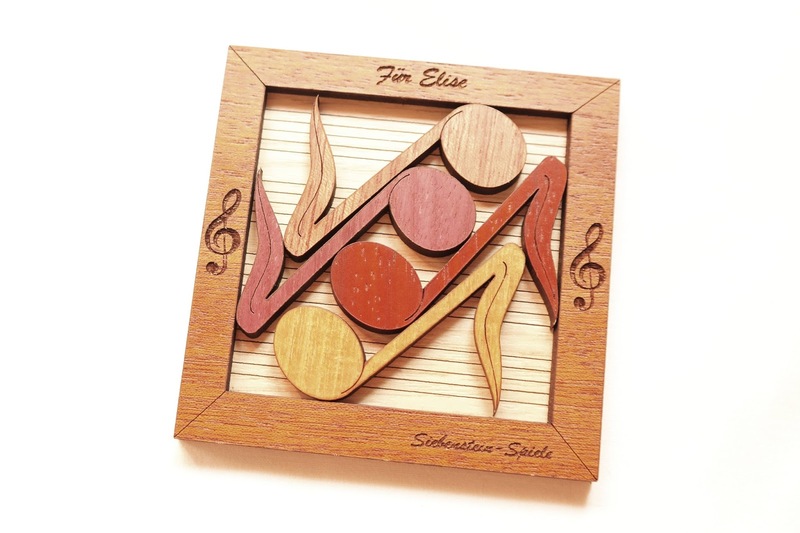 Für Elise by Siebenstein-Spiele is a beautiful and lovely puzzle, with an elegant solution that only a music-themed one could provide. It's an accessible puzzle for all ages and skills, and will be a perfect gift for a music (and puzzle) lover. Availability: You can get a copy of Für Elise at PuzzleMaster for just $20.99 CAD. There are other interesting puzzles from Siebenstein-Spiele available.